Revolutionary "second" skin eyeshadow formula combines liquid and powder for shimmery, vibrant color that applies directly onto the skin. With silver, grey, and aquamarine tones, Diamond Deceit ($48) creates a glam Wintery look. The pigmentation is excellent and the eyeshadows blend beautifully. It is recommended to apply them with your fingers, so what you see in the swatch is what you will get on the eyes. No primer necessary. How gorgeous is this packaging? It was meant to resemble the gift of jewelry packaged in a black jewelry box. I love how they have used 3D technology to combine 5 shades in to one shadow. I thought it might make them difficult to apply but it really isn't at all. With all the big, bulky palette's out now one with 5 shades this small is great when you're running out of storage space. 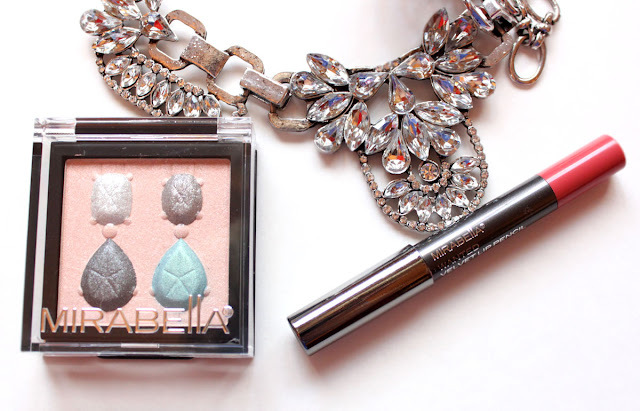 Diamond Deceit gives the eyes a glowing bejeweled look that is perfect for the holidays. I am obsessed with that cool toned silvery taupe shade! 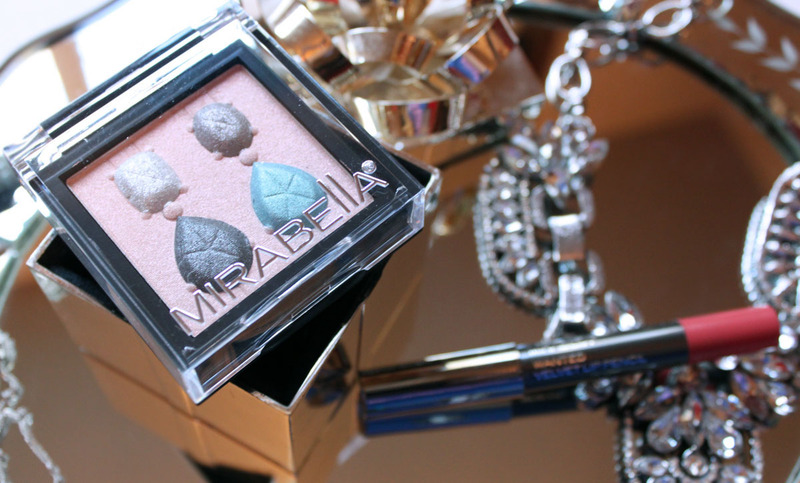 Formulated with a high percentage of pearls, the eye shadows have an iridescent frosty finish. The end result is soft, multi-dimensional and extremely vibrant color. 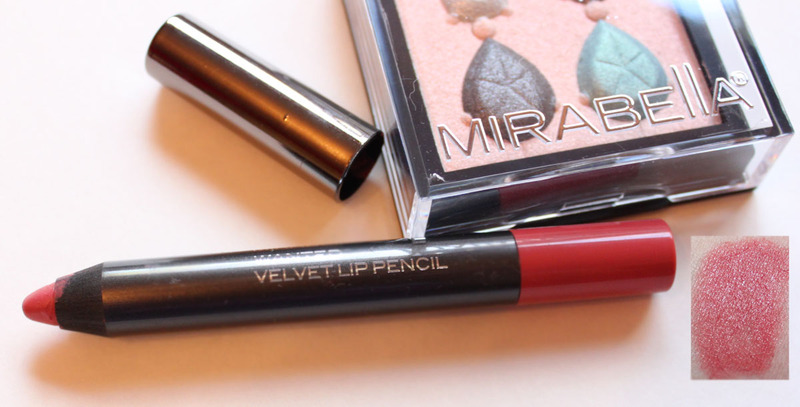 Velvet Lip Pencils ($25) are some of my new favorite lip products. 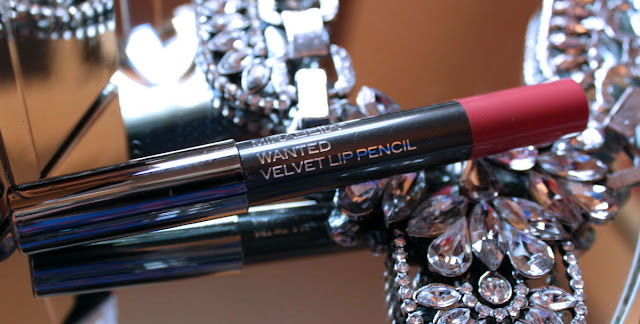 Velvet Lip Pencils apply effortlessly and have a creamy feel with an intense velvety smooth finish. They have high pigmentation and wear for hours with out bleeding. These are about as perfect as a lip pencil can get. Wanted is a rosy neutral pink apricot, one of those made for Fall/Winter shades. I plan on buying the second color in this collection, Vice, a rich berry hue. I really want them all! 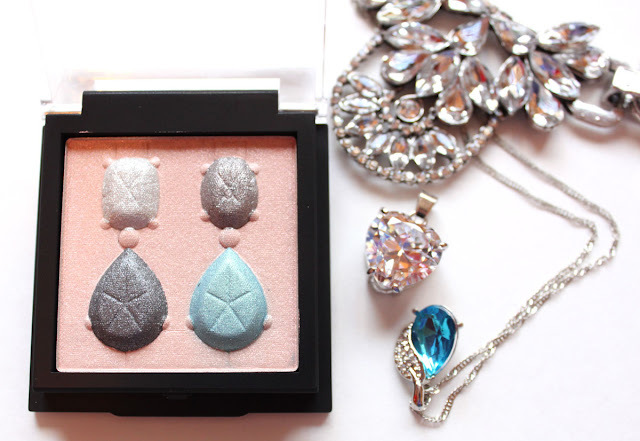 Jewel Thief is pretty little collection with two outstanding offerings and it would make an absolutely beautiful gift for the jewelry and makeup lover.